Held at the Mercure Townsville on Friday, August 10th, the fundraising event was a capstone activity within their Diploma of Hospitality Management and Business. Allara Learning Queensland State Manager Arthur Burchett said that ‘Cowboys Night For A Cause’ provided a unique experience for the thirteen players to develop their practical skills outside of the classroom. “The players were entirely responsible for the event. They had to source the venue, food, drink and entertainment, as well as sell tickets for the night”. 220 guests attended, including The North Queensland Toyota Cowboys Player Johnathan Thurston, Minister for Communities and Minister for Disability Services and Seniors Coralee O’Rourke and Assistant Minister for Vocational Education and Skills Karen Andrews. 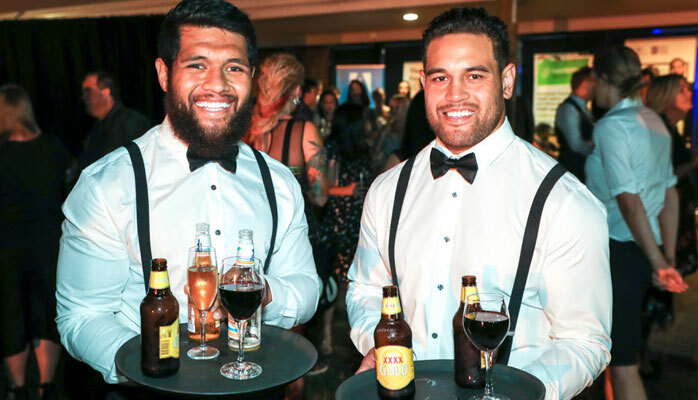 Guests were greeted and served by players, including John Asiata, Coen Hess, Michael Morgan, Jake Granville, Ben Hampton, Jason Taumalolo, Josh Chudleigh, Lachlan Coote, Antonio Winterstein, Shane Wright, Jake Clifford and Carlin Anderson. 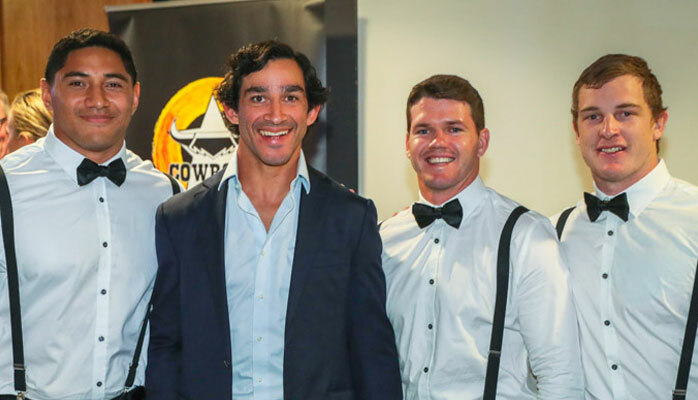 The night featured live performances by player John Asiata, pop singer Miella Sartori, country artist Jade Holland and magician Adam Dean, and a live auction of exclusive Cowboys memorabilia including a signed pair of Johnathan Thurston’s boots. “Doing study outside training and playing for the Cowboys lets me learn skills that will be useful for life after football. As I’ve lost a close friend and cousin to suicide, being able to do this event and help (Youth Mental Health Foundation) Headspace is a win-win for me”. The night raised over $52,000 towards HeadSpace, Livin, Multicap, Ronald McDonald House, Epilepsy, NRL Cowboys House and the Pyjama Foundation.